Recorded in Non-Conformist Chapels and Meeting Houses, Gloucestershire (1986) as "greatly altered", and has having a large tablet inscribed with two verses of a hymn, and 'Built AD 1823 Rebuilt AD 1824'. The source for their information is cited as 'Kendall (1905) II, 296'. The tablet today appears to be unreadable, so I cannot verify the consecutive years of its building/rebuilding are correct; however the same two dates are quoted by the Victoria County History series: A History of the County of Gloucester, Volume 11: Bisley and Longtree Hundreds (1976), pp.36-37 (Bisley - Protestant Nonconformity). Today, there is a modern extension in front, and to the left of the old building, and a car park. 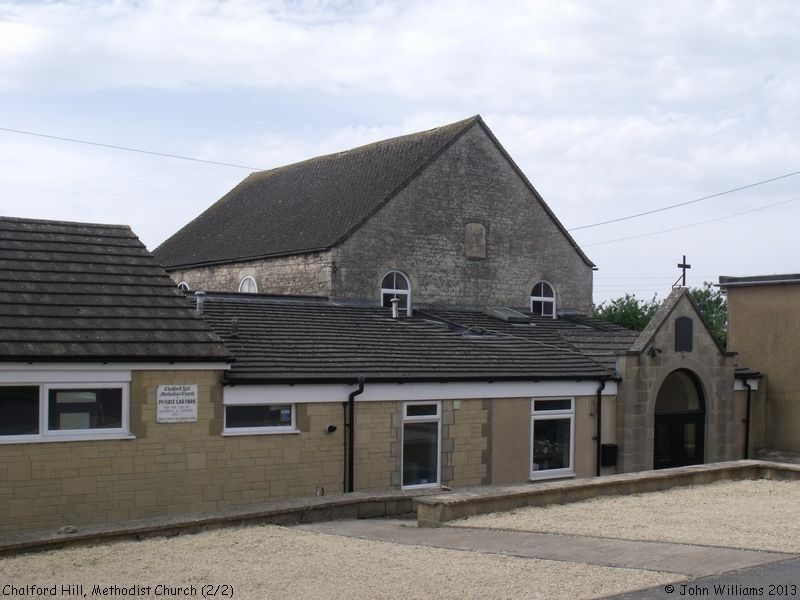 Chalford Hill Methodist Church, Chalford Hill shown on a Google Map. Places of Worship in Chalford Hill shown on a Google Map. I have found many websites of use whilst compiling the information for this database. Here are some which deserve mention as being of special interest for Chalford Hill, and perhaps to Local History and Places of Worship as a whole. Information last updated on 30 Dec 2014 at 10:28. 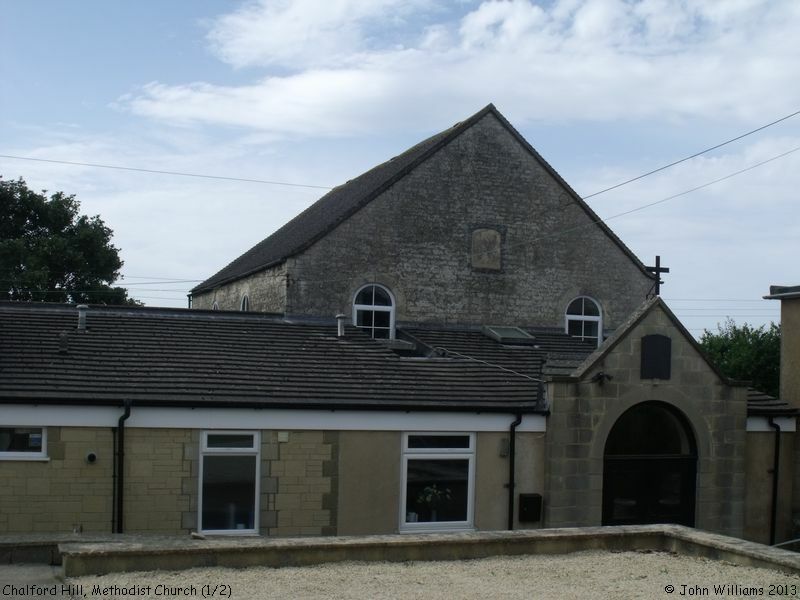 Please also remember that whilst the above account may suggest that Chalford Hill Methodist Church remains open and accessible, this may not remain so. This Report was created 21 Mar 2019 - 01:01:09 GMT from information held in the Gloucestershire section of the Places of Worship Database. This was last updated on 7 Feb 2019 at 07:45.